Samsung Copy Apple? They Should. 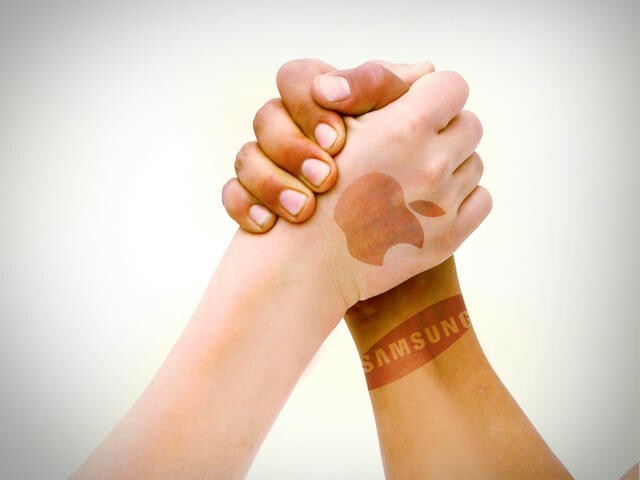 There’s been a lot of press covering Samsung’s apparent penchant for all things Apple. If imitation is the sincerest form of flattery, one might conjecture that the Korean giant is infatuated with the folks in Cupertino. The patent and trade dress issues concerning the Galaxy 10.1 tablet and the Galaxy phones are well known. The corporate battles have leeched into the geek conscious, and in the grand tradition of fanboyism, lines have been drawn along the issue. The latest twist in the war between the two tech giants has Samsung playing the übertroll by apparently hiring the same child actress that Apple used for their iPhone ad. While its debatable whether or not Samsung is copying or merely playing follow the leader, there is one element of Apple’s business model that they have yet to touch. It is an element which they absolutely, beyond a hair of doubt, must steal. manufactured- which is due to receive the update. The reason? Not enough room to squeeze ICS and their custom TouchWiz interface into the phone. Nebulous answer aside, you have to wonder who is making these decisions, and how long its going to take for them to be fired. Instead of rewarding customers who turned out by the millions to buy the original Galaxy S, they have successfully alienated what very well might have been repeat customers. Obviously, Samsung has its reasons for not simply slapping vanilla ICS onto devices. The goal is obviously to keep the companies proprietary software part of the Samsung experience. Never mind those who bought the Galaxy S for the actual hardware, apparently it is the lightweight skin that people are lusting after. What Samsung is missing in the fog of war is that they are missing a huge opportunity to build brand loyalty. Instead, they are banking on consumer ignorance to shadow their support practices, and for that they should get burned. They don’t expect the majority of those 10 million+ customers who bought the original Galaxy S to know the difference between Gingerbread and ICS, and sadly, they might be right. In a perfect world, such a decision would result in a huge opportunity loss. The original Galaxy S became available in early 2010, and it wouldn’t be a stretch of the imagination to expect the Galaxy S III to arrive this spring, two years later. Somewhat coincidentally, another key element of smartphone usage generally lasts two years as well: contracts. 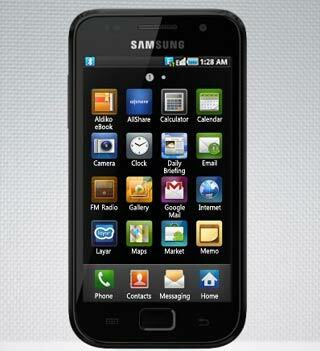 Samsung may have unintentionally jeopardized the success of the Galaxy SIII due to its ignorance in dealing with its customers. Instead of going with the latest phone that might not receive any major updates, customers might as well go with a company that they can trust to support them throughout the life of the phone. Sadly, there’s even a precedent for this particular situation. Many months ago, HTC tried to do the same thing with its custom Sense UI on the original Desire, which they said couldn’t handle Gingerbread 2.3 and their skin. Guess what? Pressure mounted, and HTC made some modifications and made 2.3 and Sense fit. support to each device based on capability. Even though it could have denied iOS 5 support to 3GS owners in an effort to move them to the iPhone 4 or 4S, compromises were made in order to shoehorn iOS 5 onto the more archaic hardware. That kind of support is iconic to a company such as Apple, and is in no small way why they have such a loyal customer following. So its no small wonder that we’re already hearing reports of Samsung backtracking on its plan to deny ICS support (and then backtracking from that as well). As smartphones become dominant, the general user will become more informed, and as a result the consequences of such a move will be greater. Hopefully, Samsung steals a page from Apple’s book on customer relations and updates those Galaxy devices. If not, I’ve heard that Apple is supposed to have a new phone out this year.